Upstairs - 1st Floor Spacious Queen bedroom with en-suite bathroom (shower). Beautiful views across town to Great Oyster Bay and Schouten Island. Maximum occupancy is 2 adults. Save by staying longer Upstairs - 1st Floor Spacious Queen bedroom with en-suite bathroom (shower). Beautiful views across town to Great Oyster Bay and Schouten Island. Maximum occupancy is 2 adults. Upstairs - This a room designed with families in mind, so is best suited for 2 adults/2 children travelling together, not really suitable for 4 adults. Adjoining 1st floor bedrooms with a queen bed in one room and twin singles in the other. Ensuite bathroom with bath & shower (please note the bathroom is accessed through the main queen bedroom). Room configuration cannot be changed. Room rate quoted is for 2 adults sharing; extra charges apply to extra children or adults. Upstairs - Comfortable 1st floor accommodation with Twin Single Beds. Ideally suited for two people sharing. Ensuite bathroom with shower. Compact, but comfortable Queen Bed room with ensuite bathroom (shower). Not the largest room in the house, but with all the amenities needed for a great stay and a restful night's sleep. Upstairs on the first floor there are 2 of these first floor Queen Bedrooms where you will awake to stunning views of Great Oyster Bay or watch the sun rise over Freycinet Peninsula. Queen sized bed and en-suite bathroom. maximum occupancy is two adults. Upstairs - Save $'s by staying longer. 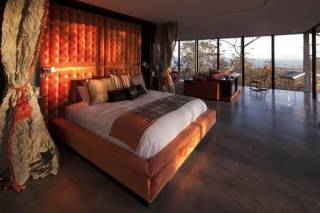 Queen Bedrooms where you will awake to stunning views of Great Oyster Bay or watch the sun rise over Freycinet Peninsula. Queen sized bed and en-suite bathroom. Maximum occupancy is two adults. Ground floor Mews-style studio apartment. Ensuite bathroom with walk-in shower (no step). Queen bed and single bed, kitchenette (does not have a stove) and dining area. Off road parking to front, verandah to the garden. Room rates is for 2 adults, max occupancy is 3 when extra charges apply. Ground floor Mews-style studio apartment. Ensuite bathroom with corner spa and shower. Queen bed and single bed, kitchenette (does not have a stove) and dining area. Off road parking to front, verandah to the garden. Room rates is for 2 adults, max occupancy is 3 when extra charges apply. Ground floor Mews-style studio apartments. Ensuite bathroom with corner spa and shower. Queen bed and single bed, kitchenette (does not have a stove) and dining area. Off road parking to front, verandah on to the garden. Room rate quoted is for 2 adults, max occupancy is 3 when extra charges apply per 1 extra child or per 1 extra adult. Ground floor spa suite, comprising a sitting room with open fire (in winter), adjoining queen bedroom and ensuite bathroom with corner spa bath and shower. There is a veranda to the garden from the bedroom. At the rear of the house, this room does not have sea views. Built in 1853, Peoples Choice Award winnning Meredith House and Mews has been welcoming visitors for over 100 years and is centrally located in the historic seaside town of Swansea, which is part of the Freycinet region on Tasmania's sunny East coast. In the main house there are 7 ensuite rooms, all have queen beds and ensuite facilties. There are 4 spa rooms (1 suite and 3 studio apartments). 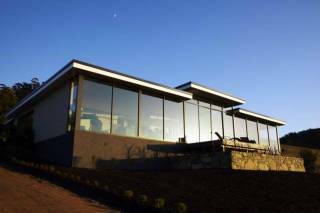 Our guests tell us we serve the best breakfast in Tasmania, we serve this every morning in our sunny breakfast room, we also have a cosy guest lounge, extensive gardens, BBQ facilities and a guest laundry. A variety of shops, cafes, award winning restaurants and local beaches are all within a short walking distance. 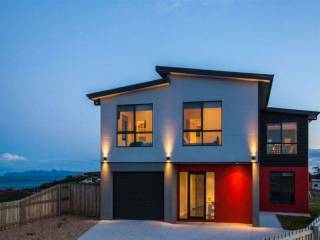 From its elevated position the house and some of its rooms have sweeping views of Great Oyster Bay and the Freycinet Peninsula. Meredith house and its newer Mews-style Studio Apartments are the ideal base from which to explore all the Freycinet region has to offer, including Wineglass Bay, Maria Island and Freycinet National Park. Ground floor accommodation is provided in The Mews Studio, Spa Studios and Heritage Spa Suite ONLY. All other rooms are upstairs on the first floor; if you require ground floor accommodation, please book ground floor accommodation as we may be unable to move you at check-in. All rooms have ensuite bathroom facilities (shower), the Family room has a bath tub and a shower. On the ground floor there is a beautiful two room suite with its own lounge, open fire and ensuite bathroom with corner spa. Facilities include ensuites, Flat screen TV, Mini Bar, telephone, tea and coffee making facilities, complimentary port and our award-winning full cooked breakfast. Adjoining Meredith House are four mews-style studio rooms, all with ensuite bathrooms, three also featuring a corner spa bath as well as shower. Three have a queen bed and a single bed, comfortably accommodating two adults and a child; while the fourth Mews has a Queen Bed. Studios feature wide-screen TV's, a small kitchenette with microwave, electric frypan, fridge, toaster, crockery and cutlery, with a dining area adjoining your own private verandah and garden access. In front of each studio is a parking space for your convenience. Our award-winning full cooked breakfast is also included. We are happy to welcome you at anytime after 2 pm, but we would appreciate a call if you are going to be arriving after 6:00 pm This allows us to make reservations for you as most restaurants do not stay open very late, even in summer; and it allows us to plan our evening, which is often our only free time. Similarly, if you would like to check-in early please contact us first to see if this is possible, we will endeavour to meet all reasonable requests. We need your credit card details in order to confirm your booking, however, we DO NOT make a charge on your card until you have stayed. On arrival at Meredith House you can either pay with the credit card with which you booked, a different credit card or with cash. WE WILL NEED TO SWIPE YOUR CARD FOR PAYMENT ONCE YOU ARE HERE - WE DO NOT MAKE A CHARGE ON YOUR CARD UNTIL YOU HAVE STAYED. We operate a 48 hour cancellation policy, this means that we do not make a charge for cancellations made more than 48 hours before check-in time (2 pm) on the date of arrival, WE WILL ALSO CHARGE THE FIRST NIGHT FOR A NO-SHOW. Cancellations made within 48 hours or a no show will be charged at the full room rate for the first night of the booking. Therefore, if you need to cancel or change your booking please give us as much notice as possible. WE DO NOT MAKE A CHARGE ON YOUR CREDIT CARD UNTIL YOU HAVE STAYED OR IN THE EVENT OF A LATE CANCELLATION OR NO SHOW. We recommend you take out appropriate travel insurance to assist with any unforeseen difficulties. We may use third-party service providers to process your personal information on our behalf for the purposes of this booking. For example, we may share some information about you with these third parties so that they can contact you directly by email (for example: to obtain post stay reviews about your travel experience). Leaving the airport you will come to a roundabout; take the last exit right to Sorell - the A3 (Tasman Highway). On your left you will see Barilla Bay Oysters, a great place for lunch or dinner. Carrying on along the A3, you will pass over two breakwaters either side of Midway Point; after the second breakwater you have reached Sorell. Drive through the Sorell until you reach the traffic lights at a T-junction; turn left here. 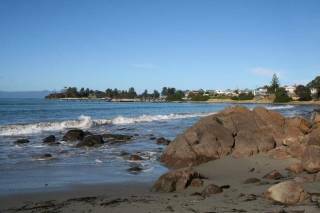 Carry on up the A3, passing through a few small towns - Buckland, Orford (a great place to stop by the river for coffee at Scorchers), Triabunna - until you reach Swansea. 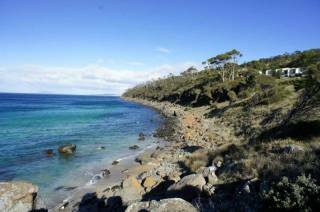 It is 135 km from Hobart Airport and should take around 1½ hours to drive. Meredith House is signposted on the left hand side of the road as you drive into town. Turn left into Wellington Street; at the next junction (Noyes Street), you will see the house on the opposite corner.